T-Racks 4 (CS), Other effects bundle or multi-effect from IK Multimedia in the T-Racks series. IK Multimedia modeled three new equalizers from iconic US consoles, and includes them in the T-RackS Custom Shop. The EQ P50A, EQ P50B and EQ P60G are reproductions for the T-RackS processor of equalizes found in American consoles in the late 60s and early-70s. IK meticulously reproduced the discrete circuits and 2520 op amps used on the original models, as well as the proportional Q (the bandwidth is larger with lower gain and narrower with higher gain). The EQ P50A is described as a “generalist” all-purpose 3-band EQ ; the EQ P50B is a 4-band model with overlapping medium band switch and is intended for vocals, guitars and string instruments. 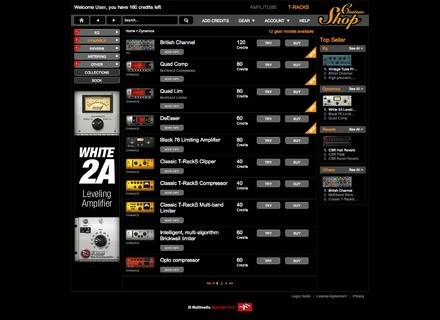 IK Multimedia adds that both EQs feature a shel switch for high and low bands. Last, the EQ P60G is a 10-band graphic EQ that can be applied on drums or vocals, when you need to sculpt the sound with more details and large frequency bands. 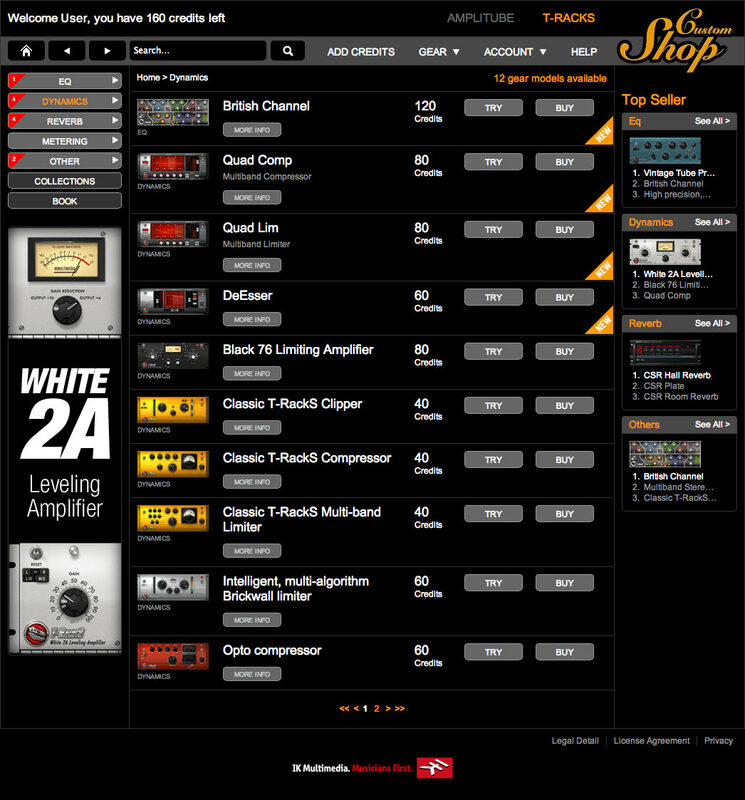 These three new EQs are available in version 4.7 of the T-RackS Custom Shop for 125 credits or 99.99€/$ each. Roland introduces the SH-2 Plug-Out Roland reproduces the SH-2 synthesizer for the Aira System-1 as well as in VST and AU plug-in for Mac and PC. EDIT: Punch-BD now on all DAWs Rob Papen’s Bass Drum Synth was previously only available for Reason, it will soon be ported to VST, AU and AAX formats for Mac and PC. Blue Cat Audio launches a Scripting plug-in Blue Cat Audio once again goes beyond the beaten paths and unveils a plug-in that allows you to script your own virtual instruments and effects.